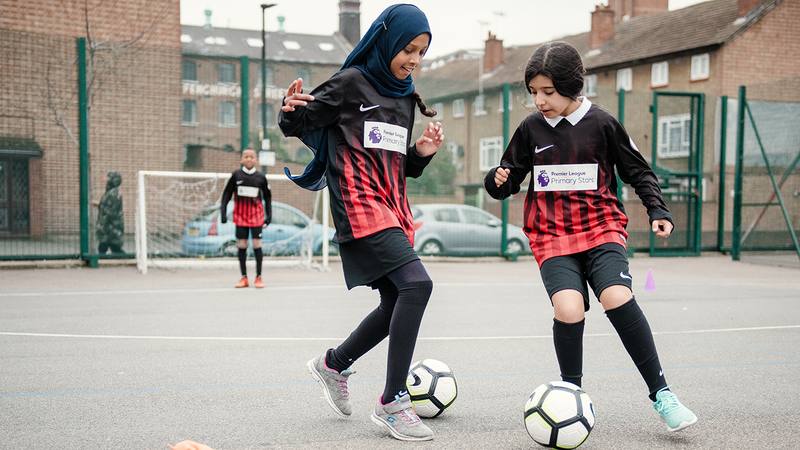 As children started at Manorfield Primary School this week, their journey through the academic year will be aided by the Premier League Primary Stars Kit and Equipment Scheme. The school in the east London borough of Tower Hamlets faces many of the challenges shared by primary schools around the UK. Nearly half of pupils are eligible for the pupil premium and 83 per cent speak English as an additional language. But together with the West Ham United Foundation, the school has used PL Primary Stars resources in the classroom, and the Kit Scheme to inspire the children on the playing field. As a school registered with PL Primary Stars it successfully applied for new kit from the scheme last year. 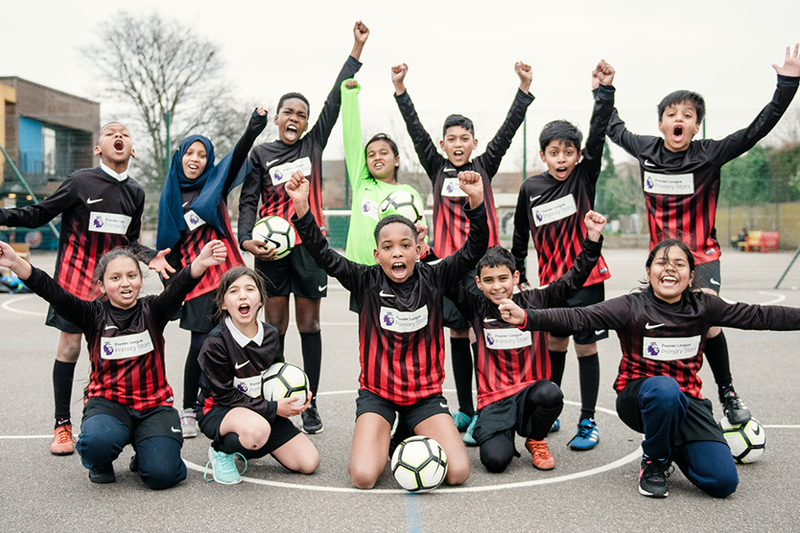 "It was amazing to see the pride on their faces the first time they took that kit out of the box," says assistant head teacher Frank Harrowell. "They feel amazing when they put it on. It makes us stand out as a school, so they're all desperate to be on that team. "It's a reward for all the hard work they do in school." The Nike kit package is available to all schools registered with PL Primary Stars. It includes football shirts, a goalkeeper shirt, 15 pairs of shorts, 15 pairs of socks and a teacher's tracksuit. The equipment package contains match balls, training bibs and pop-up goals that Manorfield has used in PE lessons. "A lot of normal school football kit doesn't last long enough," says Harrowell. "The kids are less likely to engage with it if it's not good quality. "But if you've got high-quality gear, like this Premier League Primary Stars kit, you'll get high-quality outcomes. "For these kids, having that high-quality kit makes the world of difference." Having a new strip has also helped the school attract more girls into taking up the game. "If you've got high-quality gear, you'll get high-quality outcomes"
"Giving the girls pride in their kit and their representation of the school has also helped more of them to participate in team sports, which is great to see," says class teacher Adam Eastick. "As a result, I now have four girls who are really talented footballers and they're taking it forward as a sport." Arsenal fan Tanzil is a Manorfield pupil who has enjoyed the new kit. "Football inspires us - it's about coming together, meeting new people, enjoying life, having fun," he says. "It's not always about winning, it's about pride in who you play for and what you do. "It means so much to wear this kit with 'Premier League' on it, just like an Arsenal player! "The Premier League giving you a kit is an opportunity you don't get every day, so it's a big thing for our whole class and the football team. "It inspires us to do more and to be better." This year's application window for the Kit & Equipment Scheme is open until Friday, 26 October.